Who was St Catherine of Alexandria? 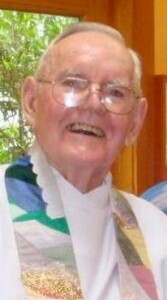 The Reverend Chester E. Falby, 86, died Sunday, January 12, 2014 of complications due to pneumonia. He was born to the late Vern and Blanche (Nutting) Falby, May 27, 1927, in Clinton, Massachusetts. Fr. Chet grew up in the neighboring town of Berlin, MA. He served as an Aviation Cadet in the Naval V-5 program from 1945-46 and graduated from the University of Massachusetts in 1948. He took his seminary training at the Church Divinity School of the Pacific, graduating in 1951. Ordained in the Episcopal Church in June, he began his ministry in the state of Washington. In August of the same year he married Deanne Bowman. In 1953, he returned to the East coast to earn a Masters in Theology at General Seminary in New York City. During this time he served churches in New York and New Jersey. He also served as an Archdeacon in the Diocese of Newark from 1959-62. Between 1953 and 1959 Fr. Chet and Deanne had six children: John, Matthew, Mark, Luke, Paul, and a daughter Casey. Luke died in 1989. After the children were born, Deanne, who already had her BS from Maryville College, went back to school and earned her degree in nursing. The family returned to the Pacific Northwest in 1962. They settled in western Washington where Fr. Chet served churches in the Upper Skagit River Valley. They later moved to Enumclaw, Washington. In 1966 he accepted the call to All Saints Church in Hillsboro, Oregon. While there he was responsible for developing a Volunteer Chaplaincy Program at Tuality Hospital. From Hillsboro Fr. Chet and Deanne went to St. George’s Church in Roseburg, OR where he served for 14 years. In 1992 they retired to Gearhart, OR. Fr. Chet then served as Interim Priest at Calvary, Seaside from 1998-99 and later at St. Catherine’s in Manzanita from 2000-02. He served as Associate Priest at both Calvary and St. Catherine’s as well. In 2006 they moved to Nehalem, OR. 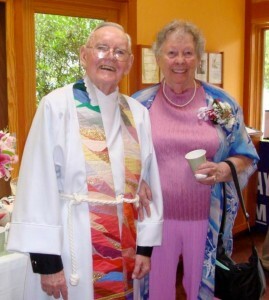 Since 2009 he and Deanne served as Chaplains to the Retired Clergy and Spouses in the Diocese of Oregon. In addition to his love of worship, preaching and teaching, Fr. Chet liked to watch movies and garden. He was a Master Gardener having taken the course in both Roseburg and Seaside. He discovered computers after retiring. Fr. Chet also worked at learning Spanish while helping minister to the Spanish-language community at St. Catherine’s. He loved the coast and even tried to get used to all the rain. The Reverend Chester E. Falby is survived by his wife of 61 years, Deanne; brother Clifford with wife Canna Falby of Wakefield, RI. He is also survived by five children: John with wife Sandy Falby of Salinas, CA; Matt with wife Ruth Falby of Salem, OR; Mark Falby w/ partner Craig Jensen of Aurora, OR; daughter, Casey Titchenal; and Paul Falby w/ partner Scott Edward of Portland, OR. He is also survived by four grandchildren and two great-grandchildren. Services were held at 1:00 p.m. on January 22, 2014 at St. Catherine Episcopal Church in Nehalem, OR, (36335 Highway 101 N, Nehalem, OR) with The Right Reverend Michael Hanley, Diocesan Bishop, The Right Reverend Robert Ladehoff (retired), and the Reverend Patricia Millard.